“Terrorist!” the man yelled as I walked down my block. A naive part of me assumed that he couldn’t be talking to me, but in reality he was. As I dodged the beer can that he threw my way I tried to control my indignance. It seemed unfair that, ever since I started wearing a hijab, more people like this man felt they had to voice ignorance and aggression towards me. Not only do I have to endure the emotional challenges that come with wearing a loaded clothing item such as the hijab, but I also had to deal with dozens of hateful people like that man. Nonetheless, over the last year, I’ve found that wearing a hijab is worth enduring people like him. I started wearing a headscarf in the middle of junior year, whereas my twin sister Toqa started in the seventh grade. To Toqa and me, it meant coming of age, and I wasn’t ready. 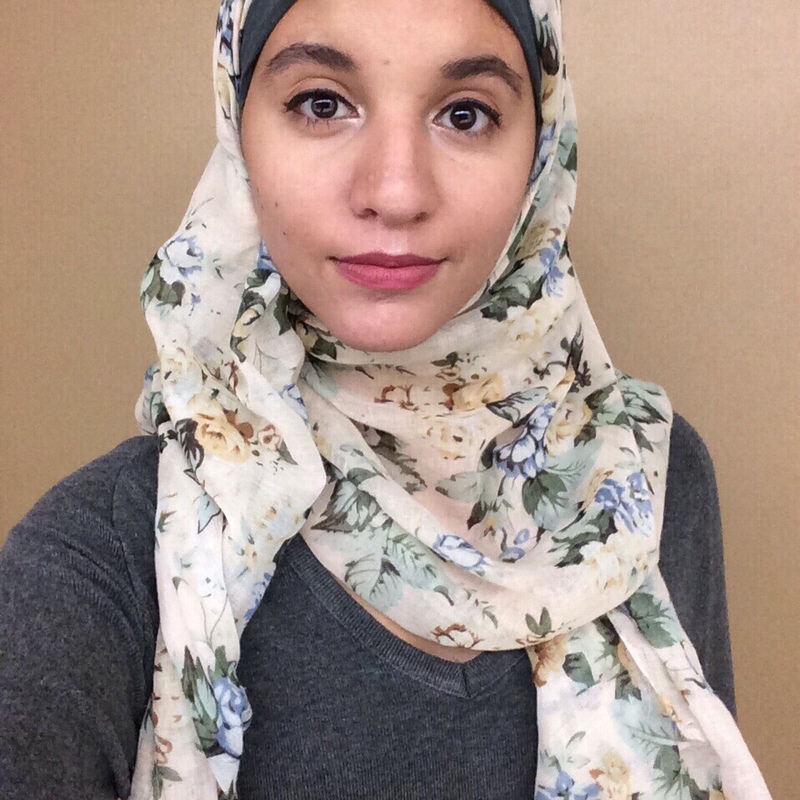 I had not originally realized what responsibility came with a headscarf, that how I carry myself in public could affect people’s perception of my entire Muslim ummah. I didn’t realize that it would make me a target. I hoped that it was possible to take this limelight that I felt had been placed on me and change it into a more positive part of my life. By making the most of myself and the opportunities that I have available, I can show that Muslims, especially Muslim female scientists can contribute to the very society that has stigmatized us. My father is an example of someone who has made the most of his opportunities. He left his family in Egypt to provide a better life for his children in America. He now mans a gyro cart in front of New York Presbyterian Hospital, the hospital where I work. When I was young and before I could really work anywhere, I’d visit my father often. If going to see a doctor meant seeing my dad, I was all in. I grew up in that hospital, so when my parents (like most immigrant parents) informed me at a young age of their expectations that I become a doctor, I informed them that I had already made up my mind to do exactly that. I have luckily been afforded many opportunities that can help add a positive light to the way I’m represented. The TEAK Fellowship gave me access to an education that most kids from my background do not even know exists. To gain hands-on medical experience and to understand how hospitals work, I sought and gained opportunities to work at first and third world hospitals. In New York, I learned how to exercise a bedside manner that would comfort patients. At Al- Ashraf Public Hospital in Egypt, I learned how to suture, nasogastrically intubate, and vaccinate patients. While by New York standards, I never should have been allowed to perform these procedures– and I expressed my concerns to my supervisors– the hospital’s lack of funding and staff forced them to train me and accept what help I could provide. The differences between the high tech New York Hospital and Al- Ashraf were stark and numerous. To help fill the gap, I offered my hands, my time, my summer. I plan on returning. While in New York I mostly keep patients company and observe as doctors check wounds, I take pleasure in seeing how much I’ve brightened up patients’ days when I keep them company. Perhaps they’ll someday remember the girl, who just happened to be Muslim, who helped them when they were down. So let there be beer cans and bellowing men. Let there be ignorance and hostility. Because each time I head to the hospital, or to school or even down the street, I hope a greater number of people will understand that I am here to heal. Working with you (Sara Nolan) was a delight. You were able to prod at what I was really trying to say and get me to actually say it. I was able to be genuine, clear, and insightful.